We emphasize the aesthetics in all our work because we appreciate that when your smile looks good, you feel good! To that end, we use the best blend of preventive care, tooth-colored fillings, and restorative procedures for achieving your peak dental health. Modern smile makeovers are so simple (and affordable!) there’s absolutely no reason you can’t have the amazingly beautiful, natural-looking smile you’ve always craved. Ask us what veneers, crowns, bonding, and whitening can do for YOUR smile! A crown will not only save but will even enhance the strength of your damaged tooth. Sometimes when a tooth has been broken or worn-down, a simple filling will not restore it to full functionality. It’s then that a crown may become necessary. At KC Family Dental, we use the most innovative materials to make our crowns look and feel natural. For some of Dr. Brent’s patients who have multiple missing teeth, a bridge may be an appropriate solution. Custom made with the same innovative materials, a bridge is secured on either side with crowns and fills the void area for a return to function and comfort, as well as restoring your full smile. Wouldn’t you like to have brighter, healthier-looking teeth? They’re easier to achieve than most people realize. Dr. Brent offers a variety of professional formulas for in-office or at-home whitening. The results can be outstanding! Let us help you decide which method is best for you. Perhaps you already have a great smile, but don’t like a small imperfection like a discolored tooth or a chip. Dr. Brent can use composite bonding to quickly and easily improve your smile! This material can be made to match your natural tooth color, so it looks great. It can fill gaps, too! Dr. Brent uses a dental laser to cosmetically treat uneven gummy smile lines, perform gingivectomies (treating deep pockets in the gums), and lengthen crowns so you show more teeth, less gum. These small adjustments can have amazing results with your smile, and healing after laser treatment is typically quick and comfortable. If you have oddly formed teeth, strange gaps, or dark discolorations, our porcelain veneers may be your best solution. Applying veneers can quickly and painlessly change the look of crooked teeth, so they appear as though they’ve had years of straightening. Made from thin, but very hard, sheets of the most cutting-edge dental ceramic available, veneers are bonded to natural teeth in a way that makes the teeth appear straight and uniform, producing an attractive smile. 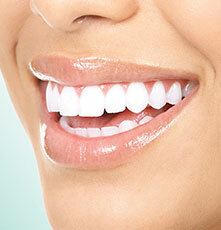 In addition, veneers can be used to completely hide chipped, cracked, or worn teeth. 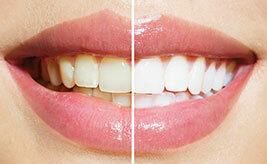 Created to match the color of the surrounding teeth, veneers look completely natural. Schedule a complimentary consultation by clicking here or calling (913) 220-2209, and discover how cosmetic solutions and teeth whitening can give you a brilliant new smile!